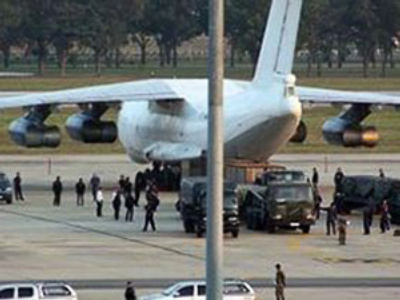 Thai authorities will not charge the crew of the Il-76 aircraft with an illegal arms cargo from North Korea, who were arrested in December last year. They are to be released and returned to their homes this week. “Prosecuting them will bring no good to Thailand, so we decided to drop the charges,” a Thai prosecution spokesman said, announcing the decision. He added the respective home nations should decide whether to prosecute their citizens over piloting the smuggle plane. Earlier, media reported that the crew members would not be tried in Thailand, but no official confirmation of this was forthcoming. The announcement comes on the last day the crew could be detained without charges, in accordance with Thai legislation. Another prosecution insider said sending the arrestees back to their homes will not be treated as an extradition in legal terms. The gunrunning Il-76 was arrested in Thailand after a search revealed it had small arms, explosives and ammunition onboard. The weapons were apparently loaded in Pyongyang. 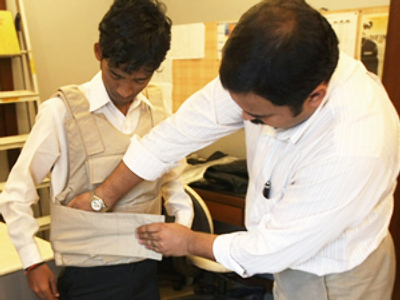 Since North Korea is forbidden to sell weapons by a UN Security Council resolution, the cargo was deemed illegal. Manning the aircraft were one citizen of Belarus and three citizens of Kazakhstan. They said their employer had lied to them about the nature of their cargo. 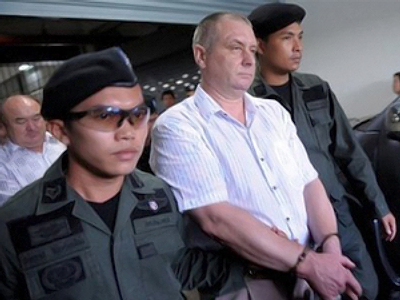 If charged and found guilty of arms smuggling in Thailand, the four men would face at least 10 years behind bars, or even be sentenced to death.